I'm not referring to ecology, the environment, whole and organic foods, and all those endeavors that many of us are already involved in. Young people here in Northern Michigan are right at the forefront of all that. What I am referring to is something different and I don't even know what to call it, so "Organic Mind" is close enough for now, and the premise is simple. Just as we strive to rid our food and water of unwanted chemicals, additives, pesticides, and all of that, we should do our best to remove whatever obscurations and distractions stand between ourselves and an unaltered mind, our true nature. Somewhere in there we must hunger for that too, an additive-free and unaltered mind. All across the country the need to experience the purity of Mother Nature, non-GMOs, a clean environment, organic and whole foods with no chemicals or additives, etc. is growing stronger. 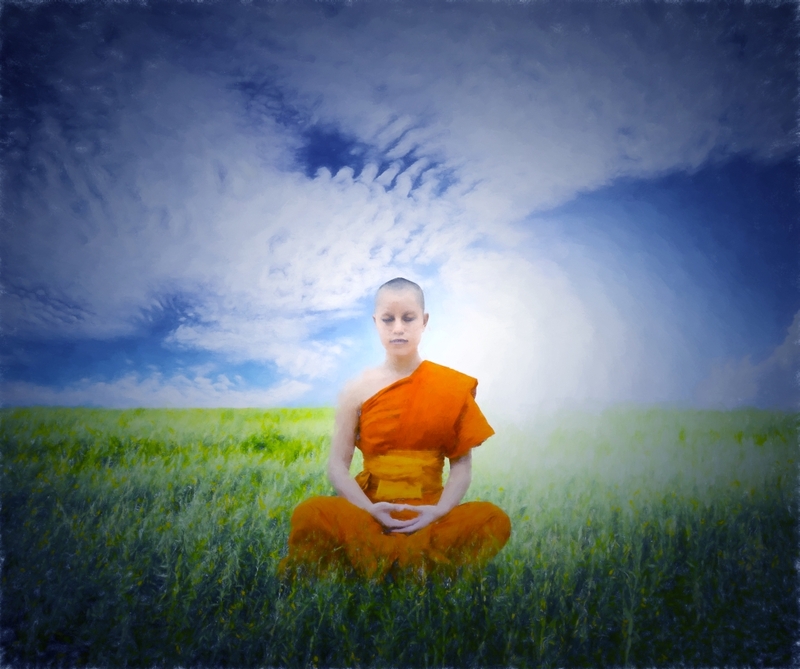 What about the purity and true nature of our own mind? According to the Tibetan Buddhists most of us have never seen it. What would it be like to experience that? How do we clean up our mental environment? No matter how organic our food is and all of the other environmental cleansing we achieve, we still experience all of that through the filter of mental obscurations and distractions, not to mention the oily slick of our own bad habits. There must be something within us that yearns to eliminate those contaminants, remove all the intervening mental film that coats our senses, and experience the true nature of the mind itself directly, without filters. Get rid of the middlemen of obscuration and distraction. It is a gruesome image, but many of us have seen the crime movies where a plastic bag over the head is used to suffocate a victim. Sorry for the analogy, but that is kind of how I see it is with us and the film over our mental senses, struggling to breathe-in the clarity and freshness of our natural state, something that is our birthright, but that has been denied us due to our own bad habits and obscurations. If the environmental pollution and all the chemicals and additives we ingest worries you, our mental contagion is even worse, and we are not even aware of it yet! At least in the outer world we can see the mess. Is it no wonder that of what the Tibetan Buddhists call the "Three Poisons," the most dangerous one is "ignorance," the fact that we successfully ignore (and all the time) our own natural mind's nature. We look every which way but loose. Our mind is not only usually distracted, but also obscured by all of the micro-karma we layer it with day-in and day-out. Talk about sludge? I know. I must sound like a nut, but that does not bother me if you get the idea. Our inner mental-film is as bad or worse than the outer environmental mess…AND if we clean up the mental clarity (and have more awareness, all the time), we can better see to clean up the outer world. "I'm just saying," first things first. Let's clear our mental glasses so that we can better see how to tackle the outside environment or tackle both at once, which is what I am trying to do. We 1960s people have come a long way when it comes to environmental concerns. My own kids are on fire with this stuff. Together, we are making a difference! Please don't shoot the messenger or consider what I am pointing out here as Pandora's Box or a can of worms, but we are strong enough to begin to acknowledge that we have never questioned the quality of our own minds, we westerners. We implicitly assume that our mind is pure and clear as a diamond right at birth. All we have to do is to learn to use it, and we do, but only on the outside world. Who is checking the prescription of our mental glasses? Certainly not us. We have never been taught how to turn the mind on itself and look within, much less how to remove what obscures our vision. And that vision is obscured both for looking inside or outside. In fact much of looking at the outside is from the inside, peering through our biases, obscurations, prejudices, and what-have-you. We are looking through our mental glasses darkly and don't even realize it. Anyway, that's my view for your consideration.